By now most folks have heard about the hero cop in Southern Utah that made a Hollywood-style save over the holidays. Sgt. 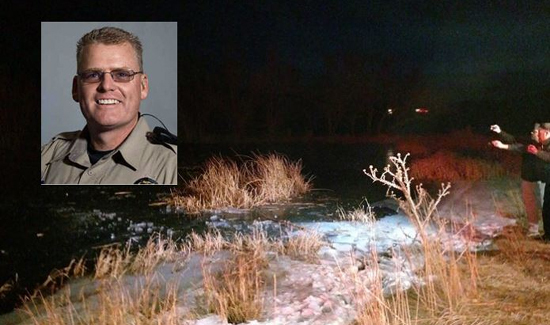 Aaron Thompson with the Washington County Sheriff’s Office punched through the ice to save a kid who was surely going to die at the bottom of a frozen pond. Anyone who’s worked these deals knows that pulling the kid out of the drink is only half the battle. If you can’t get the victim’s core temperature back up quick there’s always the chance of hypothermia. “The father reports that 8-year-old Jason is doing very well, describing his encounter as ‘A Christmas Miracle,’” said a statement released Wednesday afternoon by the Washington County Sheriff’s Office. “I just made the decision I would go get him,” Sgt. Thompson told reporters. And he’s the right guy to go in. Thompson says he was on the county’s dive rescue team for several years. “I knew how cold the water was,” he said. After grabbing the kid and pulling him to safety, Thompson realized how cold he was. Between hypothermia and the cuts and lacerations on his hands and arms from punching through thick ice Thompson said he didn’t consider himself a hero.